FOR GOD AND COUNTRY is being produced for an American television audience. The series features The Stars Foundation’s™ celebrity supporters at the country’s premier patriotic events and American cultural landmarks. The series addresses our American Heritage while inspiring a nation with National Pride and the message that Jesus Christ can bring hope to a hurting nation. 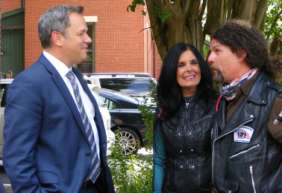 Celebrity supporters, Nashville artists and dignitaries, convey the “Message of Hope”. 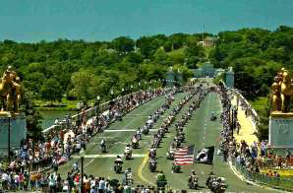 Content includes a variety of high impact film shoot locations selected to inspire American pride. 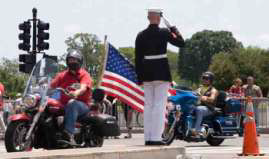 The 13 episode series covers events such as; Rolling Thunder Ride for Freedom®, Memorial Day, Washington, D.C., The Flame of Freedom, Vicksburg Battlefield, Prince William County sites, the Laughlin Veterans Festival and more. The content reflects America returning to the founding virtues “In God We Trust” that our forefathers build our country upon. 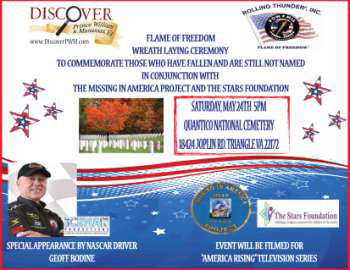 The Stars Foundation™ in association with Savannah Entertainment™ and Iceman Television® have been commissioned to produce a 13 episode patriotic television series cleared for broadcast in America. The series commemorates our American Heritage while inspiring a nation with American Pride. The message that Jesus Christ can bring hope to a hurting nation is conveyed through strong visuals, voice over narration and interviews with celebrity supporters and the dignitaries who “Stand by the Constitution” and encourage our nation to return to its Christian principals. 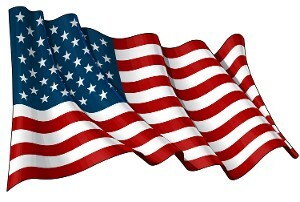 FOR GOD AND COUNTRY features America’s premier patriotic sites, events, and landmarks. 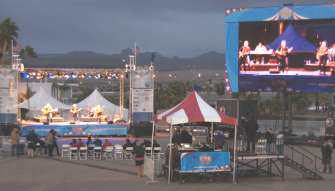 The series showcases a variety of festivities and country music highlight performances while profiling several mass consumer attended patriotic events. 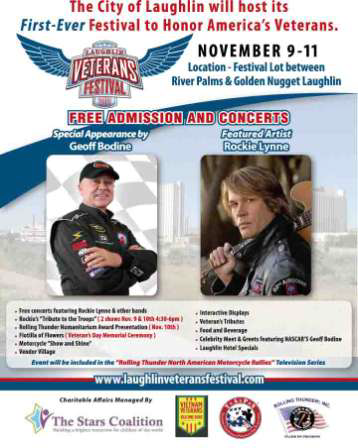 The filming process includes; a series of patriotic sites and events such as; The Flame of Freedom Ride with Rolling Thunder® Inc., Memorial Day in Washington, D.C., Laughlin, NV Veterans Festival, The Vietnam Veterans ‘Welcome Home’ Concert at Charlotte Motor Speedway, and “Hometown America” capturing veteran footage while paying tribute to our American Armed Forces. 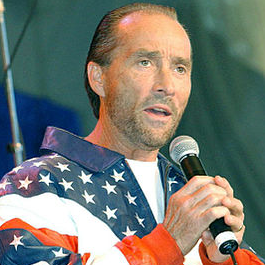 Musical performances by Lee Greenwood, Buddy Jewell, Rockie Lynne, Charlie Daniels and Madison Rising, the Patriotic Rock Band along with Beau Davidson for the Grammy nomination “Blessed” honoring our military. 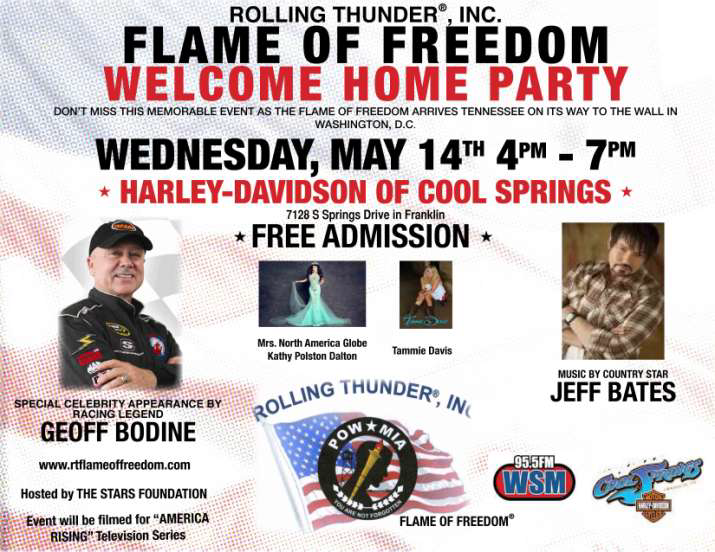 NASCAR Legend Geoff Bodine, country music artist Rockie Lynne and on-air host Roger J. Piggott convey the ”Message of Hope” for America. Episodes are designed to hold the armchair viewer while extolling the compelling need to return to the fundamental principles of the Bible for Americans to regain strength, power and the favor of God for our nation. 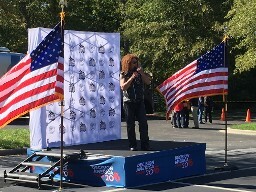 The theme song for FOR GOD AND COUNTRY will be portrayed in a music video presentation by a Nashville Superstar tied to their belief in the God and Country. The theme song performer will be announced in the summer months in a high profile press release and billboard campaign and tied to a major event. FOR GOD AND COUNTRY is being produced as a “Ready to Air” weekly television series designed to target the American public. The series embraces the love of God and Country throughout the highlights of the largest patriotic consumer events, historical sites and cultural landmarks in the country. High impact content footage is utilized as the common thread throughout the production process. The series is scheduled for broadcast on the National Religious Broadcasters Network, commencing the 2nd quarter of 2020. FOR GOD AND COUNTRY is a television Series with a cause capturing America’s National Pride, with a message for us to turn back to God for our country to thrive again. Roger J. Piggott is an ordained minister and promotions expert who produces ‘Ready-to-Air’ regularly scheduled television programming for a global audience. Roger gives insight into the celebrity performances and interviews with highly respected government officials who are on location paying homage to our military troops and our American cultural heritage. 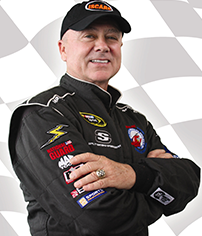 Geoff Bodine is ranked as one of the top 50 NASCAR Drivers of all time with more than 18 Cup championships and 600 wins. Geoff has won the Daytona 500 and recently won a GOLD Medal in the OLYMPICS for the men and BRONZE for the women with the NASCAR based design of the Bo-Dyn Bob Sled project. As a former member of the National Guard, Geoff has traveled globally on numerous occasions supporting our troops at military bases abroad. 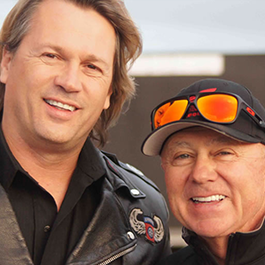 Geoff holds 3 Guinness World Book of Records and has been an avid motorcycle enthusiast for more than 40 years and is an Ambassador of Goodwill for The Stars Foundation but more importantly, an on fire ambassador for the King of Kings. Rockie Lynne served 3 years in the Army in the 82nd Airborne at Ft Bragg. 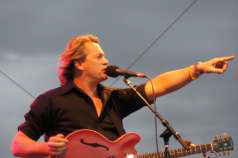 His first country music single “LIPSTICK” soared to # 1 on Billboard charts for 10 consecutive weeks. 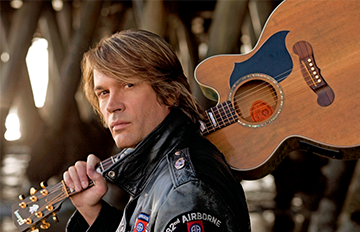 As a country music artist, Rockie produced his Songs for Soldiers” CD donating a percentage of proceeds to troop related charities and founder of “Tribute to the Troops” non-profit foundation. 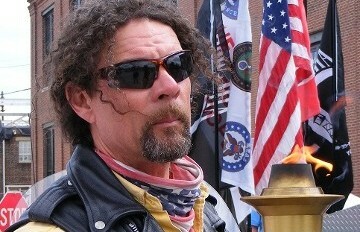 His song “We Want to Thank You” is a tribute to our Vietnam Veterans. FOR GOD AND COUNTRY is a fast moving 30-minute weekly documentary, magazine TV show that brings the viewer into the country’s largest mass attended patriotic events and cultural sites. The series is an amalgamation of educational, point-of-interest and biblical content showcasing American Heritage, Patriotism with a strong Message of Hope. The Series is built upon the framework of an informative magazine style easy-to-follow program structure. Episode content is spawned from a coalition of high profiled sites and events whose patriotic messages are conveyed through celebrity, governmental dignitaries’ and ministerial interviews and commentaries showcased discerningly throughout FOR GOD AND COUNTRY. 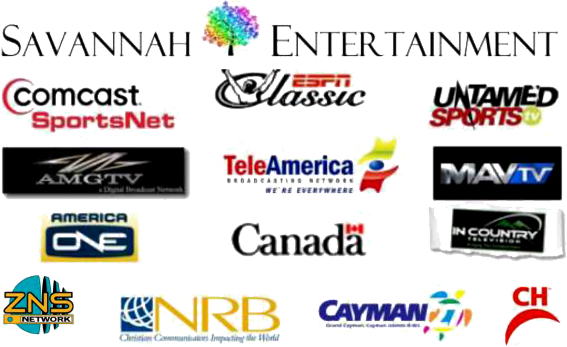 Iceman Television® retains 100% creative control in all areas of production, working hand-in-hand with corporate supporters, event festival organizers, celebrities and network partners. FOR GOD AND COUNTRY offers corporate partners exposure through guaranteed television broadcast. Each episode is built around “Featured Segments”, with each containing a different theme in a documentary module format. 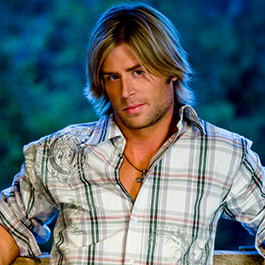 The series is enhanced by the music industry with performances and the production of a compilation country music CD. A portion of the proceeds will support The Victory Mountain Project and The Children of Fallen Heroes Fund of The Stars Foundation™. A Patriotic and Faith Based Cause!